Our groups are geared to those students who want less life skills and more opportunities to hang out and make friends. 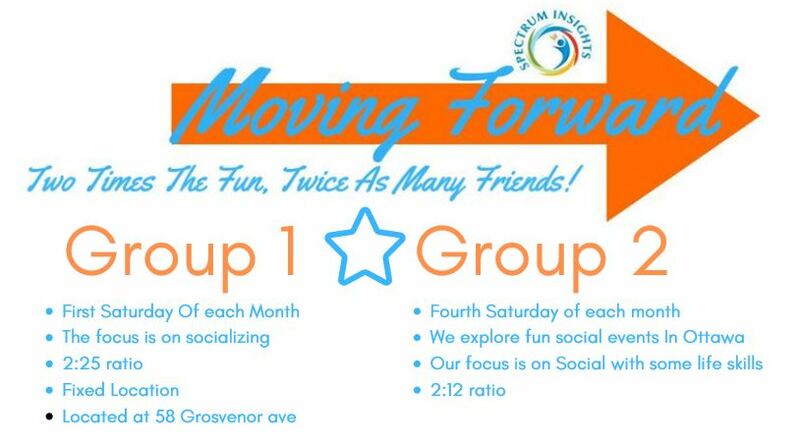 Our socials run the first and fourth Saturday of each month. Limited to 12 students - we have drop in spots available. This social group explores fun social opportunities in the Ottawa area. Please see our schedule to the right to learn more about what we do. All new candidates must be met prior to registration to ensure that Moving Forward is suitable for them. Please note our programs are not appropriate for any aggressive behaviours or students that may potentially run off. Students must be able to exhibit independence and ability to follow complex instruction.